In this season, the darkest time of the year, it is a tradition for many people to kindle lights. This year, a time of fear, frustration and foreboding for so many people in our country and the world, kindling the flames of Chanukah, as Jews will do this week, and others will do for Christmas, Kwanzaa and the winter solstice, offers a lesson of hope and resistance. At Chanukah, Jews tell the story of coming into their desecrated Temple and, amidst the rubble, finding only a drop of oil. It was only enough to last one day, but the people lit it, not knowing what would be, and it burned for eight days, the amount of time needed to find and prepare more sacred oil for the holy fire. This year, we witness our country being desecrated. The sacred trust to care for people and the earth, to uphold justice, to afford respect and dignity to all, our commitment to fair taxes, to welcoming immigrants, to seeking peace–lies in ruin. Like the Temple menorah that ran out of oil, the battering of each new assault on our democratic values has exhausted many of us. Recognizing how many unjust and unwise things have happened, despite the opposition of so many people, can make it easy to despair. But the lights of this season implore us to act, even though we cannot know if our actions will succeed. The lights of this season urge us not to get stuck in hopelessness. They remind us that even a small light illuminates much darkness. The lights help us remember that we never know what will result from our deeds. This season calls us to act for the sake of the goodness of the action itself, to act for the sake of the sacred, to act with reverence and love. And to act and experience the power of taking action in the face of ruin, of stepping forward, even when so much feels lost. And this season also calls us to take time to renew ourselves, to welcome joy, and to practice gratitude. 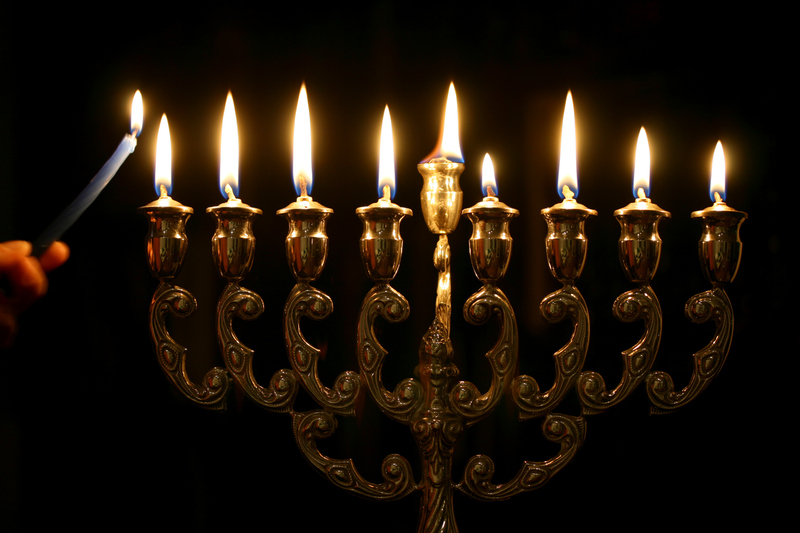 The flames of Chanukah represent the re-dedication to our sacred values. As the lights shine, we declare: We will rise. In the face of ruin, amid the rubble, we will rise together. We will act for goodness. We will act for justice. We will act with kindness, compassion and generosity. We will act to sanctify the earth and honor all people. In Jewish tradition, although not everyone does it, we are called to light the Chanukah candles in the window for all to see. This year, may all of us, from all our traditions, shine our lights into the world, offering each other strength, hope and connection. In the coming days, as we light candles, may we be inspired by the sacred and by all that we love. May our lights shine for the well being of each other and the healing of the planet. As the founder and rabbinic director of A Way In Jewish Mindfulness Organization, Rabbi Yael’s teachings offer “a way in” to spiritual practice and awareness that use the language of Jewish tradition and address universal issues. She has been named one of “America's Most Inspiring Rabbis” by the Jewish Forward. Learn more about A Way In and follow Rabbi Yael's teachings on their website and Facebook page.